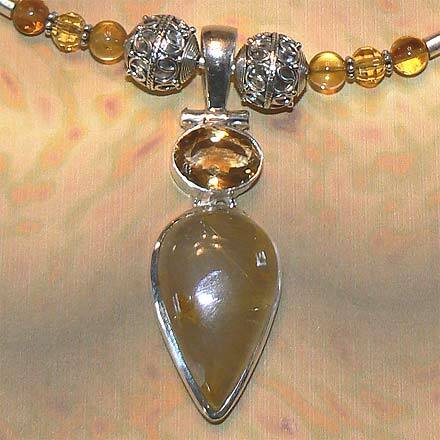 Sterling Silver Rutilated Quartz and Citrine Necklace. See Closeup. 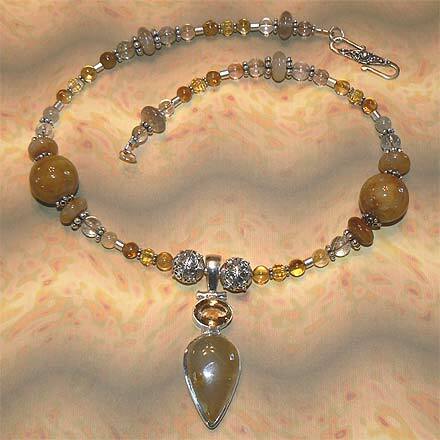 You'll love the golden color combinations of Citrine and Rutilated Quartz in this set. For those who are interested in Astrological significances of stones, Quartz corresponds with Taurus and Gemini and Citrine is November's birthstone.